< Home > Knowledge > Income Protection Guides > Is Your Sick Pay Sufficient? Is Your Sick Pay Sufficient? When it comes down to safe guarding your income if you have to take time off work due to accident or illness it’s important to fully understand your sick pay entitlement either from your employer or the government (SSP – Statutory Sick Pay). If you’re currently researching a personal insurance policy such as Income Protection and you’re eligible for sick pay from your current employer it’s a good idea to find out the terms of your employment contract so you know at what point in time your sick pay would stop and your insurance policy would kick in (the deferred period). 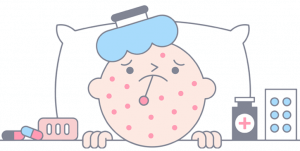 What happens if you receive no sick pay entitlement from your employer? If you’re in a position where you receive no sick pay benefit from your employer you are entitled to receive statutory sick pay from the government. This currently amounts to £92.05 per week and is paid for up to 28 weeks after a claim has been made. As you can imagine, this amount wouldn’t cover many of your basic necessities such as mortgage or rent payments, bills and food. Take a look at our shortfall chart below to see the difference between our example salaries and the state statutory sick pay benefit. To reduce any shortfall in income as shown above, it’s also worth bearing in mind that some cover is better than none. If you’re considering Income Protection but you don’t think you can afford the monthly premiums you can speak to one of our advisers on a fee free basis who can tailor a plan to suit your budget as well as your individual circumstances. How likely are you to need time off work due to accident or illness? Although you might think that it won’t happen to you, there is always a possibility of becoming too ill to work. In our recent survey we found that 1 in 5 people needed to take off at least 3 months during their working life and an Ageas Protect report found that 1 in 3 people who have been off work for longer than 6 months are still unable to work 5 years later. With many of us having limited savings and only a short period of sick pay (if any) more and more workers are turning to income protection insurance to provide the peace of mind they are looking for. 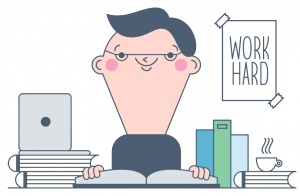 Protect up to 65% of your gross income should you be unable to work due to an accident or illness which prevents you from doing your current job. Include unemployment cover to protect against the risk of forced redundancy. Income protection can protect you right up to your expected retirement age and will pay out as many claims as are needed under the terms of the policy without the cost of the premium increasing. It provides peace of mind knowing your income is protected whether you have a short term illness or you have something more serious and are never able to work again. The deferment period is the period of time before your policy will begin to accumulate benefit after you go off work. For example, with a deferred period of one month the policy would start to accumulate benefit between month one and two. What this means is that as with all income protection insurance plans it usually makes sense to set the deferred period equal to the length of time you would receive full company paid sick leave. 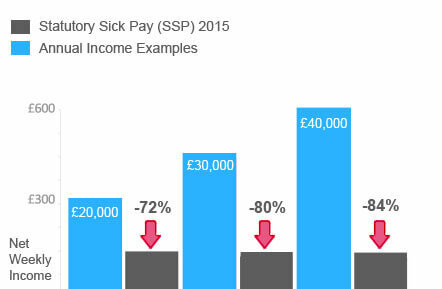 Some companies may pay full sick pay for as long as a year but most firms pay minimal sick pay and some companies pay no sick pay at all. 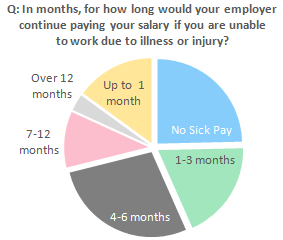 In our 2015 Protection Survey we found that 24% of workers reported that they did not receive any employer provided sick pay and over half of the sample (58%) stated that they would receive 3 months or less in sick pay. The longer you defer your policy from kicking in the cheaper the premiums will be. With this in mind, it’s also a good idea to think about if you could survive for a period of time on any savings or other sources such as a spouses income. From simply finding out whether an insurers premiums are guaranteed or wanting to know the claims statistics for a particular provider. To help you find the right policy that suits your needs it’s really is important to speak to an expert who can guide you through the options. You can call us on 02084327333 and one of our friendly independent advisers can take you through your options. We have whole of market access and we will do our best to fit you an insurance policy that’s right for your circumstances.